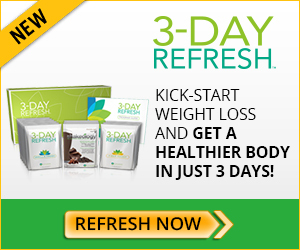 Like all Beachbody programs and supplements, the 3 Day Refresh is not available to purchase in a store. Bummer, I know. There’s something so satisfying about walking out of the store and being able to try something right away! But save that feeling for a cute dress, and take a look at some better options if you’re ready to buy 3 Day Refresh kit. You can buy your 3 Day Refresh kit on Amazon. It’s the same kit, and if you make sure that the seller is Beachbody, it will be authentic product. Drawbacks here…if you’re not careful, and accidentally select a reseller, you could get expired or counterfeit product, and nobody wants that. You could also cheat yourself out of that 30 day, bottom of the bag guarantee. Order directly from Beachbody, and be sure you’re getting all of their guarantees and customer support. Going with this option lets you buy the 3 Day Refresh kit with the exact portions of shakes you’ll need for your three day mini-program. Drawbacks here…just one! If you end up loving it and want to continue with Shakeology and/or a fitness program, you’ll need to place a new order at full price and wait for it to ship. And who wants to wait? For this option, you’re also ordering directly from Beachbody, and can be confident that you’re getting authentic product and their full satisfaction money back guarantee. Good stuff, there! This is the option called the Challenge Pack, and it’s the one designed to give you the longer term success that Beachbody programs are famous for. You save money on future orders (who doesn’t like that?! ), and you get a full month’s supply of Shakeology with your first order instead of just three days. For even more value, make sure you select Club level membership to get access to the Beachbody OnDemand library, which is filled to the gills with complete fitness programs – everything from 10 Minute Trainer through TurboFire and Insanity! It is the best value in online fitness, hands down. Whichever option you choose, please make sure you send me a message at contact@healthyfamilyproject.net and let me know how you made out with the 3 Day Refresh. I’m excited to hear how it works for you, and I’m available anytime to answer your questions and help you through it. Yep, I’ll even talk you off of that “Gimme a bacon cheeseburger!” cliff on day one as long as you promise to call back and tell me how great you feel at the end of day three! Ready to jump in and feel Refreshed? Click here to learn more about how to order!